Christmas is a magical season for a wedding. Your venue will already have been decorated and with luck it will look like a twinkly wonderland. Family and friends are almost free from work commitments and are already full of holiday spirit, making for the perfect conditions for a day to remember. If you are getting married in the coming winter months, you will no doubt be deciding on your menu. With that in mind I thought it was the perfect opportunity to give you some unusual ideas to help create the perfect festive feast! The always important drinks reception will not only allow friends and family to catch up whilst the photographs are being taken but also provide much needed warmth and sustenance. A winter Pimms or a mulled wine is always a hit but for something a little different, we recommend a mulled apple and calvados with honey and garnished with a stick of cinnamon. This served in a beautiful glass goblet will certainly impress your guests. Forget turkey vol au vents or sausages wrapped in bacon and serve more subtle canapés like a chicken liver parfait lollie dipped in a glossy red griottine cherry glaze, Dolcelatte wrapped in Black Forest ham with fig chutney, potted goose on melba toast or a caramelised pumpkin sage and parmesan tart. What better way to keep your guests happy and warm whilst they mingle before dinner is served. We are firm believers that there are no rules when it comes to wedding dinners at Christmas time. If your wedding is post-Christmas day your guests may not want to see turkey again until next year! There is some wonderful seasonal produce available in December and January and we recommend that you take full advantage of this. Start with a simple beetroot cured gravadlax or a Portobello mushroom and chestnut baked custard. Game including venison or partridge offer a delicious alternative to other red meats and can be served with a root vegetable purée, crunchy polenta-roast potatoes and spiced savoy cabbage. Dessert can be made a truly family affair by offering dessert bars or sharing plates for each table. Boys would love a hot chocolate fondant with Drambuie cream and the girls would prefer something lighter like a hot mandarin soufflé served with a chocolate sorbet. Create visual impact on a dessert bar with snowball macaroons, mini gingerbread men, Christmas pudding semifredo, mini trifle shots, spiced jellies and mini mince pies. 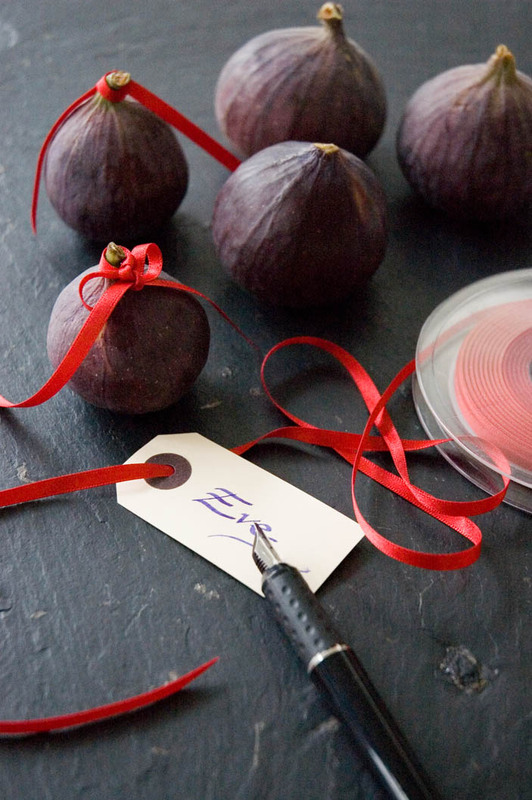 Finally, adding small touches to your table settings will really enhance that festive feel - why not try writing your place names on painted Christmas lights or using a small pine cone as a name card holder. Your florist can incorporate holly and mistletoe into your floral arrangements to finish the look.